Today I put my SoundCloud.com webpage online! Right now there are 4 of my most popular mashups available which I created for my radioshow Tic Tac Trance. You can check it out @ SoundCloud.com/martinmueller! 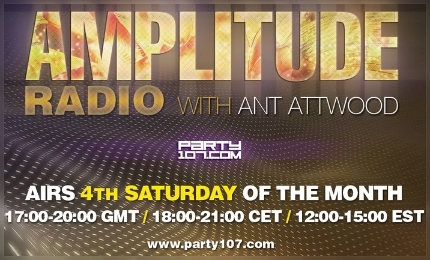 I’m guest on Ant Attwood’s radioshow “Amplitude Radio” on Saturday, 22 August. The show starts at 18 CET on Party107.com. My very uplifting set will be played in the second hour of the show! 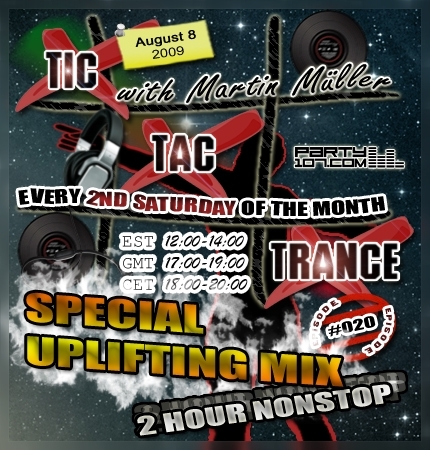 What are your favorites of Tic Tac Trance #020? It’s almost time again for another episode of Tic Tac Trance! My show will celebrate it’s 20th episode on August 8 with an two hour nonstop mix. As always my set will feature the newest and lastest records and some exclusive upfront material. This two hour uplifting and melodic journey will bring you the lastest tunes by artists like Nitrous Oxide, Suncatcher, Giuseppe Ottaviani, Angel Ace, Ferry Corsten, Dreas, Andy Blueman and many, many more! The webvote will be back and you’ll have the possibility to vote for up to 3 of your favorite records of this show. The show starts TODAY at 18 CET / 17 GMT / 12 EST on August 8. Check out your local time HERE!